Why do so many event planners choose Bailey Ranch? We know as an event coordinator you face rigorous demands in the hopes of a great outing. That's why we provide you with the assistance of a professional Event Coordinator and a staff that knows what event planners need to make the occasion smooth and memorable. Our Event Coordinator is available to assist you in advance of your event with organizational items such as sponsor coordination, signs, prizes and helpful tips for a successful event. 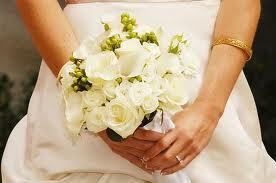 The day of your event you will be assisted by an Event Captain in any way you feel necessary. Think of it as your very own concierge person. Your Event Captain will be easily accessible before and after your event to ensure that your last minute changes and request are met in a timely manner. All this is included in our event services at no extra charge. Conveniently located off Highways 169 and 75 for easy access Conveniently located off either highway 169 or 75 and 86th street north in Owasso, Bailey Ranch is just 10 minutes from most of Tulsa. Excellent Practice Facility Bailey Ranch offers a large practice facility with plenty of stations to accommodate any size group as well as chipping greens, bunkers and putting greens. 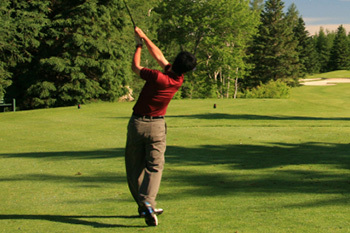 Everyone in your group will be able to properly warm up and be better prepared to enjoy their golf experience. You will find that our packages offer a lot of value for the components that are included. At Bailey Ranch we are committed to providing you with friendly and professional service from the planning phase through the production of your event and will be glad to customize a tournament or outing to your exact needs. With that said, I think you will find our group tournament packages include everything you need for a successful event....at virtually NO ADDITIONAL CHARGE! To learn more about our total event packages please call or fill out the online request form. We know you have plenty of golf courses to choose from in the Tulsa Metro area to hold your event... But, I assure you, there are none that will do a better job of providing your group a first class golf experience and utilize a "Whatever it takes!" service attitude to make your event enjoyable. 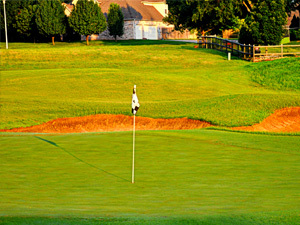 Bailey Ranch Golf Club is fast becoming the most popular choice for Tulsa area golf tournaments and outings. Whether it be the National Golf Association's Hooters Pro Golf Tour, a 144 player charity event or 16 guys or gals on a golf get together, we work hard to ensure your complete satisfaction. Over 80 corporations, associations, and private groups, hosting more than 5,500 players choose Bailey Ranch Golf Club each year to host their event. Many returning year after year! Bailey Ranch offers an exceptional reception facility with a walk out patio so your guests can take in the beautiful golf course setting. We have a professional staff ready to help you with all the details as well as a range of services and partners to ensure your wedding is a grand success. Please contact Julie Brown ( JHartz@cityofowasso.com ) today to learn more about making your special occasion just that...special! Bailey Ranch boasts a beautifully furnished 1,600 square foot banquet facility accomodating over 120 guests with a walk out patio overlooking the golf course. It's not difficult to imagine your guests being elegantly entertained in the comfortable setting of our banquet facility. Enjoy a wide selection of food and beverage options that will tempt tastebuds and please the palate. Do you need a place to host your reception, corporate meeting, club gathering, or reunion? Bailey Ranch can help with any banquet or special meeting needs you may have. We have a complete set of services to make your meeting a success and have event planners to assist you to ensure everything goes smoothly. To learn more contact Julie Brown at JHartz@cityofowasso.com at 918.274.4653 or complete our request form.